One of the challenges of modern living is feeding the right food to the family. Working mothers, especially, are always confronted with problems on how to negotiate the avalanche of junk food available in the market today. Although far from being the healthiest choice, junk food remains a popular choice because it’s tasty, affordable, and accessible. But they are known to often be high in sugar, fat, and calories, while containing minimal nutrients. Working mothers who have to balance busy schedules and have little time to personally prepare their children’s baon can now breathe a sigh of relief. The Denver, Colorado-based, Quzinos has partnered with the ACA Group to introduce the celebrated toasted and healthy sandwiches in the country. The company cited the Philippines as a market with good potential given the Filipinos’ passion for eating and their strong attachment to American culture and food. Besides its unique, famous toasted recipes, Quiznos will be offering over 25 new chef-inspired menus, including grilled flatbreads, salads, and sub sliders. Moreover, Quiznos will offer only all-natural chicken, freshly sliced deli meats, and artisan breads and cheeses to ensure healthy and convenient eating. This is the perfect opportunity for parents, especially working, mothers to give their kids a healthy, balanced, and nutritious meal. 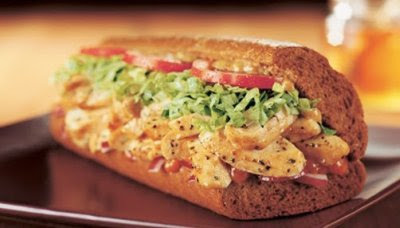 To make the offerings more enticing to the Filipinos, Quiznos will be adapting menus to fit the Filipino taste. This shows the commitment of Quiznos and the ACA Group to expand and build its brand equity in the country. Furthermore, Quiznos is bullish on the Philippine market citing the fondness of Filipinos for eating and warm acceptance of American food. Quiznos Philippines plans to open 250 stores in five years Quiznos has a solid partner in the ACA Group because the latter has an excellent track record in successfully launching brands and sustaining a strong network of business owners and franchisers. The partnership between the two organizations combines their core competencies in international food expertise and local franchising experience, respectively. This entry was posted in food press and tagged sandwiches, snacks on 8.July.2013 by admin.